New Relic is widely used by companies as an enterprise-wide monitoring solution. New Relic has the capability to provide deep performance analytics of your configured environment. 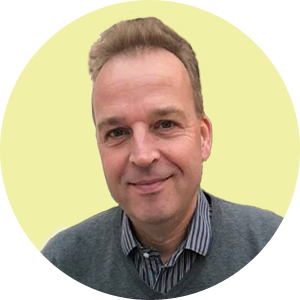 It is easy to analyse the data and get insights in real-time. BizTalk360 brings integration with New Relic. 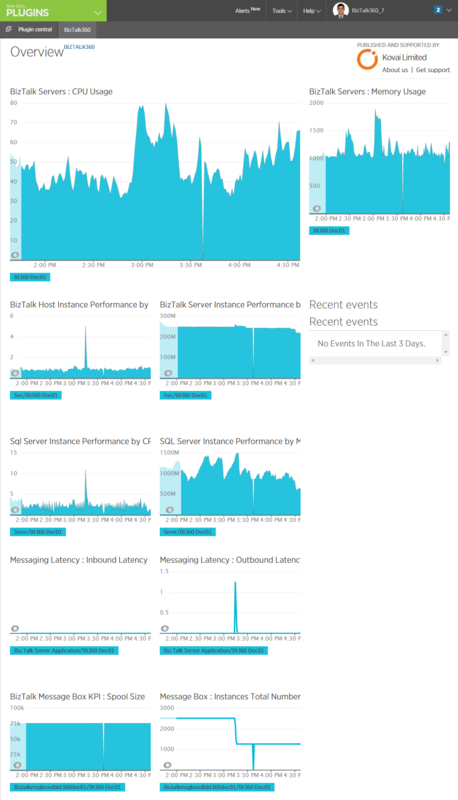 If you are already using New Relic, you can view the performance metrics of the BizTalk server environment across multiple dashboards within New Relic. The BizTalk360 Analytics service includes a sub-service called "New Relic", which is responsible for pushing the analytics data from BizTalk360 to New Relic. The New Relic sub service executes every 60 seconds and checks for data in the Performance Data service (another BizTalk360 analytics sub service). Any new data will be immediately pushed by the New Relic sub service in BizTalk360 to New Relic (SDK). Please note that analytics should be enabled for the environment (even though you have configured New Relic). Only then, New Relic service will push the data to the platform. By default, when you install/upgrade BizTalk360, the New Relic sub service (under Analytics Services) will be in the Paused state. You need to manually start this service after adding the New Relic license key. This is an important step. Without performing this step, you will not be able to view the BizTalk360 analytics data in New Relic. The important point to remember for integrating BizTalk360 with New Relic is that you need to make sure the New Relic sub service is running. You can check the status of the sub service by clicking on the Click here to check Analytics service Status link. You will be prompted with a confirmation message "Are you sure you want to remove the New Relic license key?". Click Yes to remove the New Relic license key from BizTalk360. Click No to retain the license key information. As a best practice, we recommend you to pause the New Relic sub service when you do not want/have removed BizTalk360 integration with New Relic. 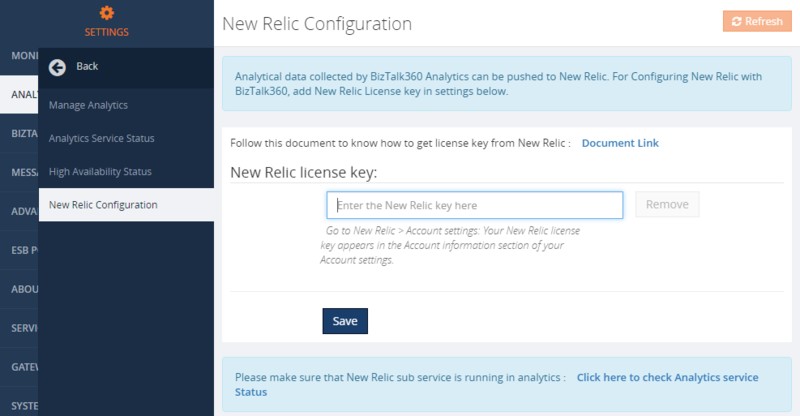 Navigate to BizTalk360 Settings > Analytics Service Status, select the New Relic Service and click Pause. The Overview tab displays the key parameters of interest to the user as shown in the below picture.